A Swedish company that makes quartz watches with a classic minimalist design starting at $149, Daniel Wellington is famous among marketeers for its Instagram influencer marketing. Gifting influencers the watches (the approach that eventually was criticized by one of those influencers) the company made over $220 million in revenue in 2015 and signed Kendall Jenner as a face for its Classic Petite Collection. With 2.9 million followers and thousands of influencer shots on Instagram, Daniel Wellington Snapchat game is getting stronger. Its recent Snapchat sticker story is a perfect example how a brand can be creative and smart, beyond influencer involvement. If a picture is worth a thousand words, then a video is worth a million. Sticking to its Instagram-perfect polished static shots on (you guessed it!) Instagram, Daniel Wellington turned to Snapchat to take its followers on a journey to explore the brand and the lifestyle the watch owners aspire to have. In the spirit of the nomad that inspired the brand's name, Daniel Wellington Snapchat has been a place to share "new cities, exotic landscapes, stunning architecture, inspiring art, and more". The brand's recent campaign focused on showcasing the product in a creative and fun way. The brand's recent campaign utilizes Snapchat's Scissors creative tool that allows users to cut out an object from a picture accessible in the Memories and make a personalized sticker. The cut-out stickers are then saved to the stickers tab in the app. One can add them to any photo or a video taken in Snapchat by simply sticking them on top of the image/video or pinning it to a moving object in the video for a fun animated result. While Snapchat launched the Scissors Creative Tool in December 2016 in time for holidays, like many other fun but secret features, the tool goes unnoticed by many users. Luckily, Daniel Wellington Snapchat team is in the know. Offering a selection of its watches, Daniel Wellington then gives tips on making a sticker out of the watch users prefer. As the stickers can then be places and pinned to any photo or video, one can 'try Daniel Wellington' watches on by simply sticking it on their wrist after taking a snap in the Snapchat app. 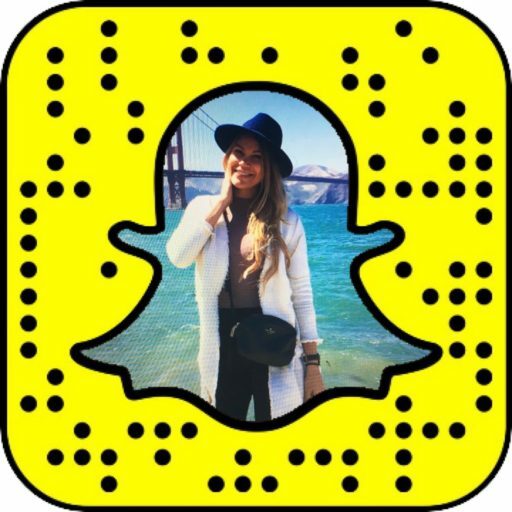 Finally, Daniel Wellington encourages Snapchatters to share their creations by snapping this back to Daniel Wellington Snapchat team. A fun way to 'try on' the watches, Daniel Wellington stickers can travel far - if users enjoy the creative challenge and the final outcome, not only they are likely to snap the brand back with its creations but also post it to their own story spreading the word and starting conversations with their friends. One thing brands can learn from Daniel Wellington's Snapchat Story is that being creative doesn't mean coming up with complex ideas. 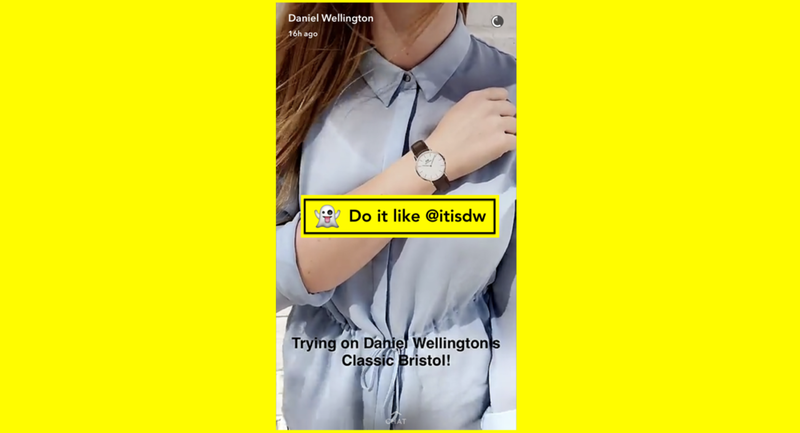 This short and simple Snapchat Story is a brilliant creative tactic that turns Snapchat followers (whether they own Daniel Wellington watches or not) into the brand ambassadors spreading the word about the brand far and wide. To follow Daniel Wellington on Snapchat, scan the Snapcode or add @itisdw on Snapchat.